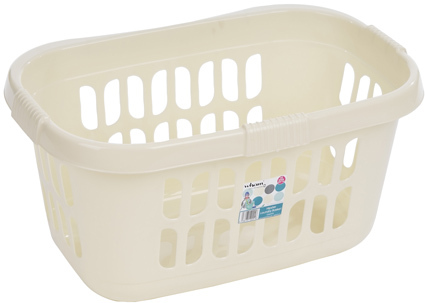 Deluxe hipster laundry basket. Oval with an inward curve at one side to aid carrying. Integral handles. Strong and hardwearing. Easy to clean and maintain.